DER NER! DER NER! DE DE DE DE DE DE DE DE DER NER NER NERRRRRR!!!! OK put the cello/binoculars down for a minute and check these out movie fans. 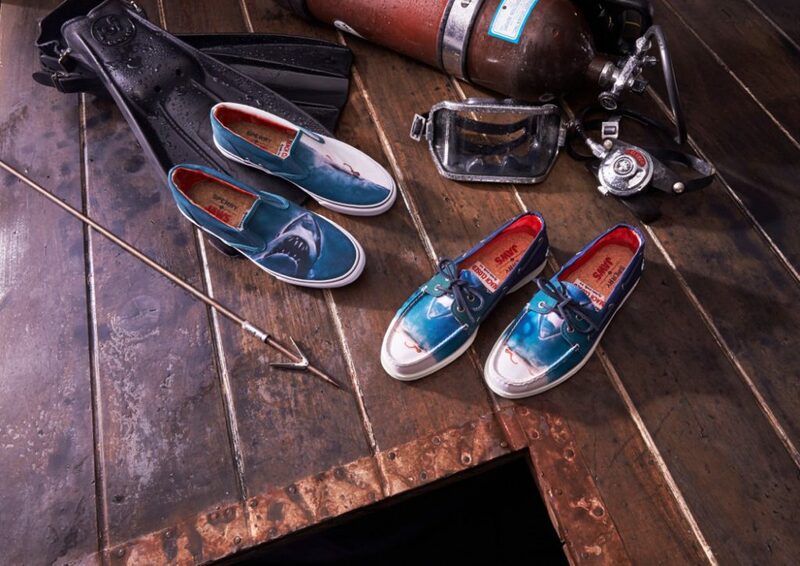 Being the makers of exactly the kind of footwear that you’d see hoping on and off of the Orca down at Amity harbour, Sperry have created not one but two pairs of JAWS themed shoes. 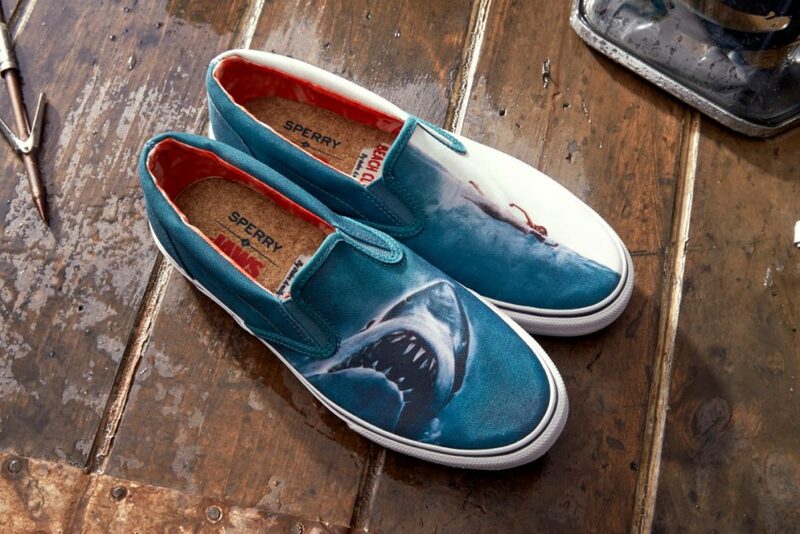 And what I like about them both is that they look exactly like the kind of shoe you’d have seen to promote the film when it came out back in ’75. 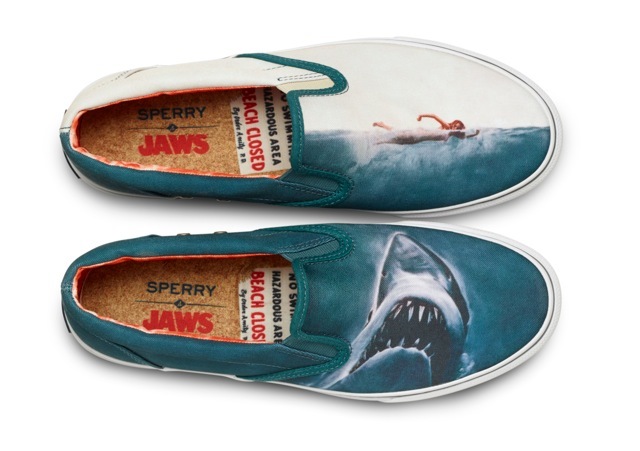 There’s a classic Sperry AO as well as a Striper S/O both of which feature that terrifying image from the film poster capturing the moment just before helpless swimmer meets humungous shark. It’s also worth bearing in mind that if you find yourself trying a pair of these on in a shop to try a size smaller than you usually would. Not because they size up particularly big but just so you can hand them back to the assistant with a far-away look in your eye and say ‘We’re going to need a bigger boat………. shoe“.